Good For: All around performance for mid-sized longboards & hybrids. But, go ahead – experiment! Base designed for US Box. WAVE ARCADE ready-to-print surf fins. 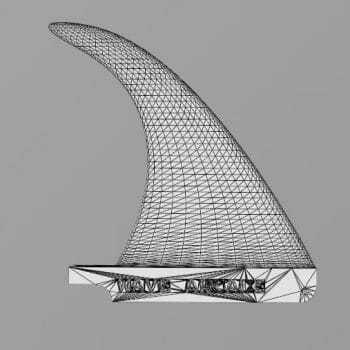 Skip the 3D modeling software and start experimenting with new surf fin production methods and materials yourself. 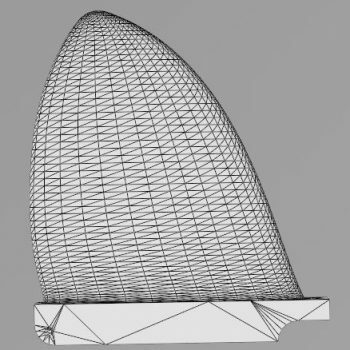 Use our fully modeled (base + fin) .STL files to make your own fins. The WAVE ARCADE MidFin is designed to be a good all-around fin for mid-sized longboards & hybrids. Designed with a long base and medium sweep, the MidFin should allow for both solid drive down the line and control through turns. A staple for your single fin collection. The WAVE ARCADE mid fin offers all around performance from drive to pivot control and even noseriding. A modest rake and wider profile makes this a good bet in all conditions for your mid-sized longboard or hybrid and even your single-fin shorty. This fin will allow you to do hard pivots on the tail, while providing speed and stability for driving down the line and getting to the nose. If you plan to 3D print this fin, make sure your printer has a build area of at least 8 in x 8 in x 8 in (203 x 203 x 203 mm). Enjoy! And please let us know how it goes. 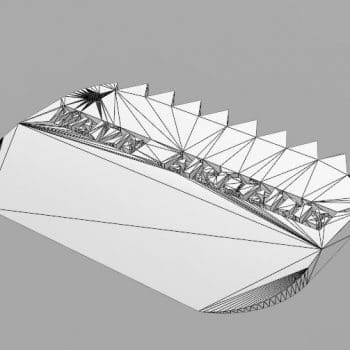 Need help printing this fin? Check out our 3D printing guide. Be sure to check out our bamboo mid fin selection too.